The Tropitone® Millennia Relaxed Sling Dining Chair combines an alluring sleek profile with the comfort of a lush fabric seating surface to create unparalleled relaxation. This outdoor dining chair features relaxed fabric in the seat and back surfaces for a more comfortable sit. 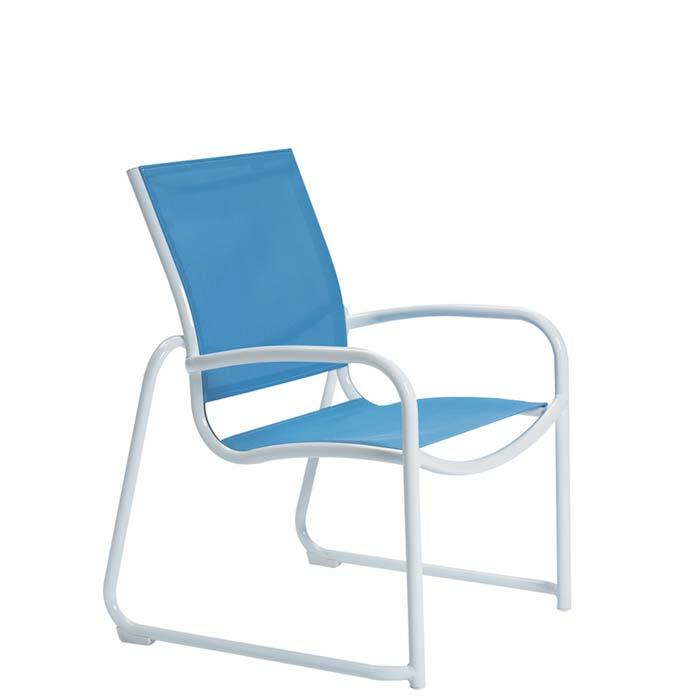 Around the pool or at the beach, Millennia Relaxed Sling Dining Chairs are stackable, durable and the new modern classic.